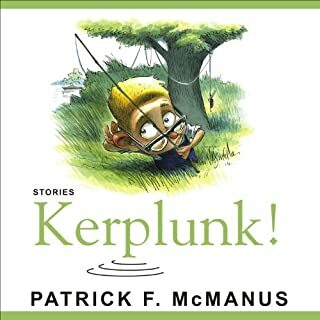 The stories in Kerplunk! travel the byways and highways of the Pacific Northwest, bringing to life offbeat, down-home characters who hope their grandchildren can pick the lock on the gun safe because they've forgotten the combination, who know exactly why it costs $500 to make a fly lure that retails for $2, and who aren't afraid to confront the problems of bird-dog flatulence. 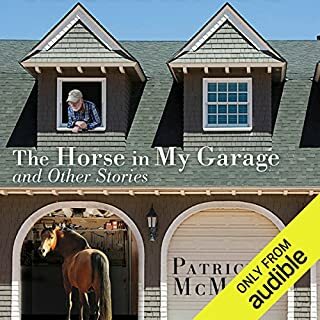 The Horse in My Garage and Other Stories is a hilarious addition to Patrick F. McManus’s existing work in humor. The author weighs in on his childhood, everyday life, and outdoor tales with his typical exaggerated commentary that will elicit a belly laugh from all types of listeners. Read about the antics of Patrick’s friends Rancid Crabtree and Retch Sweeney in such stories as “Shaping Up for the Hunt” and “Bear Hunters”, and much more! 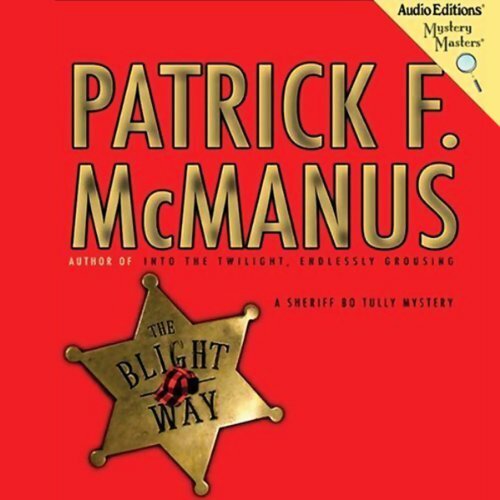 WE REALLY ENJOY PATRICK MCMANUS! 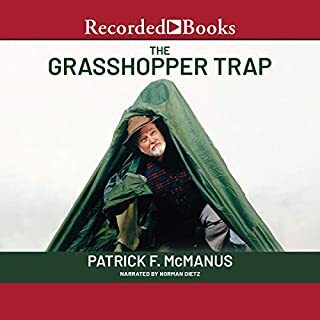 Grab your fishing net and hold onto your funny-bone; you're in for a hilarious romp through the woods with best-selling funnyman Patrick McManus. How I Got This Way is a rib-tickling collection of stories about the outdoors guaranteed to leave you chuckling. Join McManus and his pals on a venture into the Idaho wilderness that includes taking a hike with - ahem - the president of the United States. You don't have to be a hunter or camper to enjoy this collection of hilarious stories by a writer who is often compared to Mark Twain and Garrison Keillor. In fact, the charm of Patrick F. McManus' work is that it provides plenty of reasons for staying indoors, surrounded by friendly appliances. You'll laugh aloud as McManus and his friends, including Rancid and Crazy Eddie, venture into the great outdoors to face formidable foes. 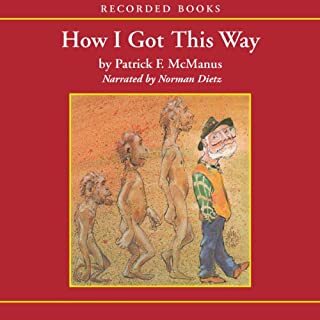 Patrick McManus, author of How I Got This Way and one of America's favorite humorists, is an impish commentator on the obvious and not so obvious absurdities of modern life. 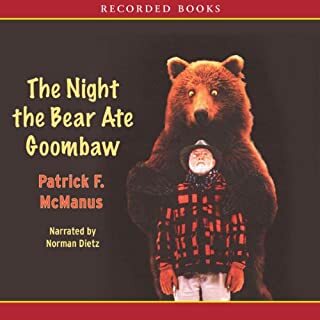 His national best seller, The Night the Bear Ate Goombaw, is a collection of hilarious short pieces about fishing, its exotic equipment, and activities like "gunkholing". You will learn, for example, that the best way to learn to fish is to build an addition to your house first. The beloved humorist and bestselling author returns with his most riotous collection of essays to date. Starting with his trademark outdoorsman's wit, Patrick F. McManus's newest collection ponders the strange allure of the RV, the existential implications of being lost, the baffling tendency of animals to outsmart those who wish to hunt them, and the singular pleasure of doubling the size of every fish one doesn't actually catch. America's most hilarious sportsman returns with this collection of insights about youth, the great outdoors, and the philosophy of fileting fish. When best-selling author Patrick McManus looks at a subject, you're sure to come away with an outrageously new perspective. Let the world's funniest sportsman tickle your funny bone with quirky homespun stories and whimsical perspectives on life. Patrick F. McManus gently pokes fun at the oddities of sacred institutions like friendship, marriage, and even hunting and fishing. Soon his crazy theories start making sense, and you know you've crossed the border into McManus country, where life is a little lighter - and much more amusing. Bo Tully is the sheriff of Blight County, Idaho, where law enforcement is usually pretty mundane: tracking down truants running away from school, picking up country boys who've had a few too many beers. But Tully gets a little more than the country norm when an ex-con calls with the startling news that there's a corpse draped across one of his fences. Tully needed a birthday present for his Pap (the retired sheriff) anyway, so the two of them head out to investigate the murder. In a tone that's one minute wise-cracking and the next...well, still wise-cracking...Tully and Pap use their wiles to figure out what's happening in this little and not-so-dull town. For anyone who has ever read McManus' previous books of delightful essays or his shaggy dog stories you will be delighted and for mystery readers you should be happy also, plot is well done, characters are great, and pace is perfect. am really looking forward to many more of this series. The Blight Way is that rare delight, a humorous mystery that is both laugh-out-loud funny and at the same time, a fair whodunnit. The narrator is absolutely superb at characterizing each and every role -- a genuine talent whom I hope we will hear much more from. Highly recommended. The caracters in this book are just that..characters, and I hated to see the book end. I loved the way this author handled profanity, humorously with out actually using it. Some books have way to may four letter words for my taste. When this book was over, I hurried to audible to see if there were any more books by this author about these folks and was very disapointed not to find any. I've been a fan of Patrick McManus for years, I enjoy his brand of humor. But I could only read about 3 chapters of any of his books of short stories before having to quit from the headache the laughing gave me. What a surprise to listen to "The Blight Way"! It has the same humor, but woven into a genuine storyline that, unlike the discount tent, actually holds water. We listened to it on a trip in the car and my wife liked it as well. As a fan of McManus' humor, I found a great deal of fun in this tale, even though it was so different than the things he usually writes. There was plenty to chuckle at, some long-prepared gags, and still a fun mystery to be solved that was not at all spoiled for the occasional bits of lightheartedness. I really had a great time with it. This book gets better each time I listen to it. We enjoyed this book as much as we have any of McManus'. It presents a new theme, one which we hope to hear more of in the future. McManus is one of our favorite humorists, and this book kept us riveted on one of our mountain trips. While the descriptions of hokey, pokey rural life were a little too close to a sore nerve for my taste, I still enjoyed this audiobook very much. I would give this one a 3.5 out of 5. One thing I especially enjoyed was the skillful narration. There was a disctinctly different voice for each character. I don't know how the narrator managed such deft changes of pitch, timbre and cadence! This masterful narration brought the characters to life for me. The story line was nicely constructed as well, revealing the plot in careful layers. I would very possibly read another book by this author again. I would enjoy seeing how he grows with his craft. I've read lots of McManus' humorous works and always enjoyed them. I was curious to see how he would do with a mystery novel. He did ok. The biggest criticism I have is that I thought you could see the structure of the plot a little too obviously. But it's good and workmanlike, and kept my interest. As others have said, the narrator really makes this book. His style is laconic and a bit understated, and it really works well. It took me a little bit to get used to it, but I was a big fan after a couple of chapters. 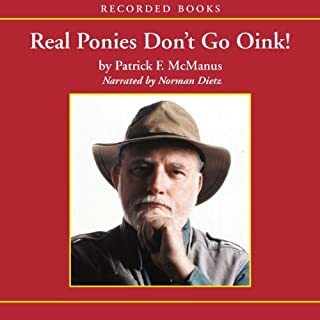 Whether for good or ill, if you are looking for something like the short, humorous stories that have characterized Pat McManus for over 20 years, this is not it. Other reviewers mention some funny parts, but they weren't in the story that I listened to. If you want to hear a story by a beloved author who is trying to express himself in a different genre, and that happens to be set in Northern Idaho, then this might be your book. The characters are good and I can hear a lot of Pat in the character of "Pap" Tully, father of the hero of the story, Sheriff Bo Tully. But none of the familiar McManus characters such as "Retch" Sweeney or "Rancid" Crabtree make so much as a guest appearance. If you are looking for a good detective story, this probably isn't up to the standards of Agatha Christie or Arthur Conan Doyle, but if you just want a good yarn with some likable folks, then it's enjoyable listening. The narrator did an excellent job voicing the characters.